This entry was posted in News and Events, Technology and tagged Amazon, Amazon Associates, Amazon Kindle, cybermonday, E-Commerce Times, iPad, Kindle, Kindle Fire. Bookmark the permalink. ← Apps that let you mix songs on your laptop!! Good to hear, I am a Kindle fan myself, but it comes surprising, though. Since a growing of people are buying all sorts of tablets I expected the eBook reader niche to shrink. But maybe the tablet owner are just unhappy with their reading experience on their screen? Agree with your point. 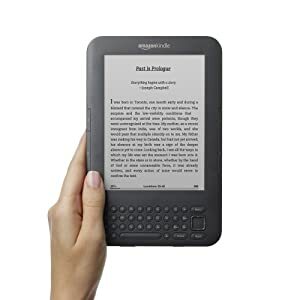 Kindle is simply amazing gadget one should have! However, eInk Kindles are no replacement for textbooks, here are tablets superior!